From book-keeper to president, one man’s quest for unrivaled success was the same investment that would one day cause him to lose everything. 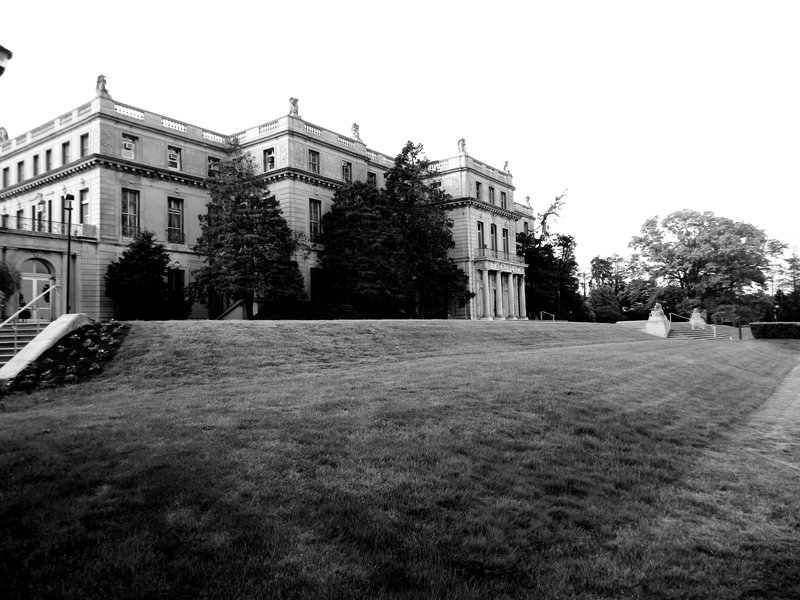 Hubert T. Parson, the original owner of the still-standing Shadow Lawn Mansion, unexpectedly fell upon the fortune that would one day afford him one of America’s most opulent, yet tragic architectural marvels. Soon after purchasing the original estate located on the grounds in 1918, Hubert and his wife Maysie were informed that their 52-room summer “cottage,” built for John A. McCall in 1903, had burned to the ground leaving only the chimney of one of the many fireplaces erect. The devastated grounds did not remain as such for a long period of time with Parson calling upon the best to design the now world famous, Shadow Lawn Mansion. North Facade. The servants wing can be seen to the far right. View of the breakfast room (first floor) and Maisy’s sister’s large suite (second floor) from the fountain gardens. Parson, the relatively new president of F.W. Woolworth Company, employed Horace Trumbauer and assistant Julian f. Abele to transform his vision of a Versailles styled mansion in to reality in the seaside town. 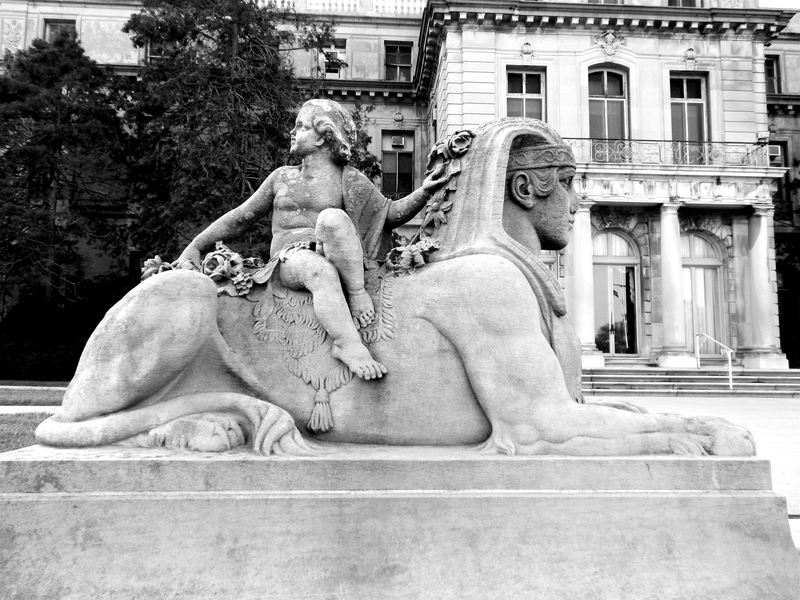 Some of the resources used for the construction of the Jersey Shore palace were steel, Indiana limestone, concrete, and marble. 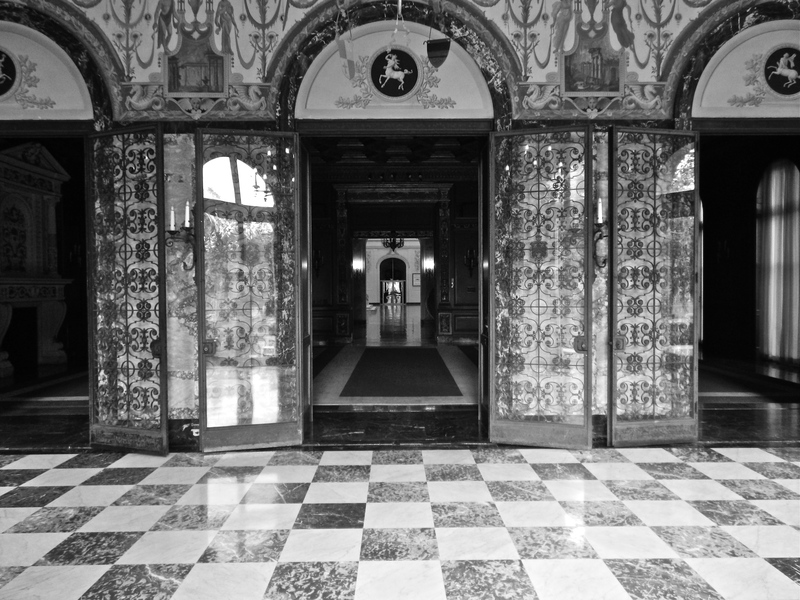 The combination of materials and the 50 different Italian marbles were used with the clear ambition of maintaining a fireproof structure that would not perish in the same manor of the original mansion. Mr. Parson’s master lounge outside his bathroom. Seventeen exquisitely decorated master suites and 19 different period themed baths dwell within the jaw dropping 130-room estate. Shadow Lawn boasts 90,000 square feet of elaborately designed rooms, ornate chandeliers, and even more breath taking moldings. The star of the show boldly hovers 70 feet above the center of the grand hall. Instead of a typical mural or artistic dome, Shadow Lawn is capped with something that would grant the complete opposite of what its name suggests; light. 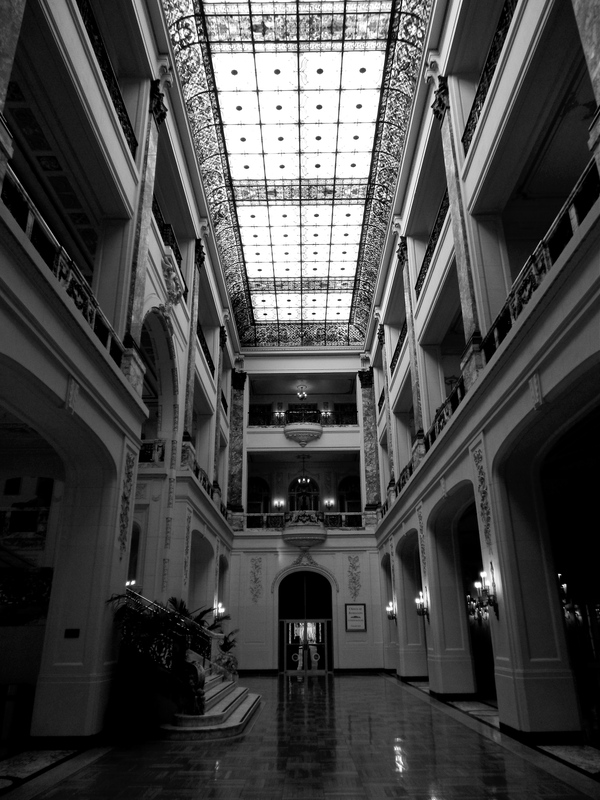 Spanning 100 feet across the top of the building is a stunning skylight made of Venetian stained glass. 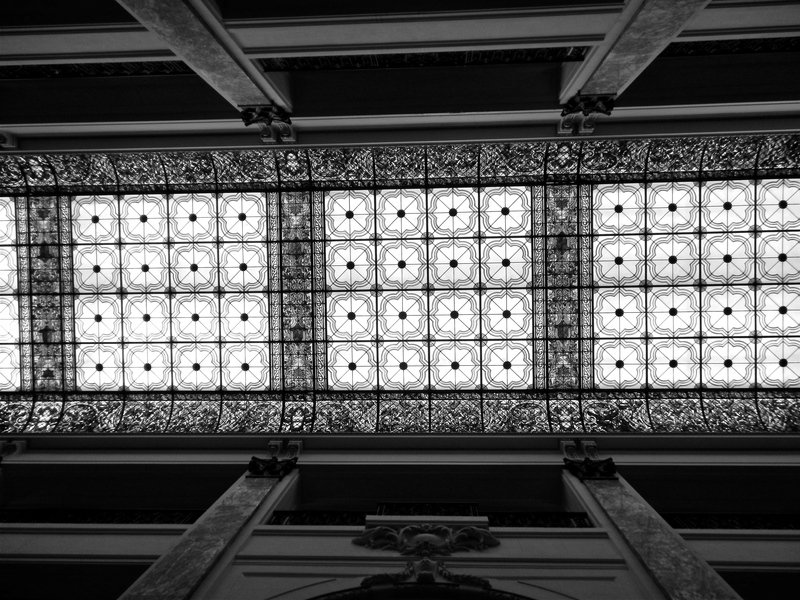 Stained-glass ceiling over Grand Hall. The famous glass ceiling over the grand hall. When the sun is not illuminating through the brilliant painted panels, 165 lights take its place upon moonrise. 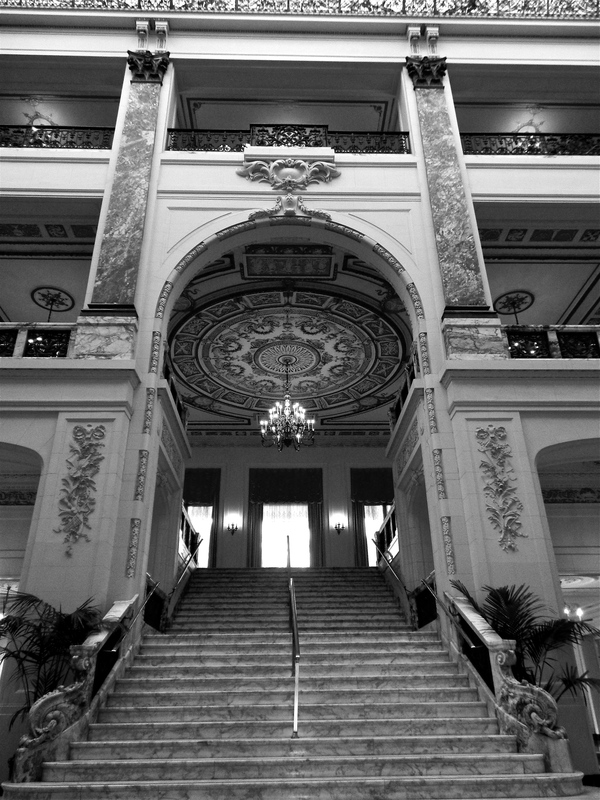 The room is surrounded by a great-room and grand, marble staircase on the first level, and encircled by the balconies of the second and third level that embrace the canopy of the glass rooftop. Those many features, and the two level arch over the infamous Annie steps, secure this area of the home as the central core of magnificence. Other inspiring rooms on the first level include the Pompeii styled breakfast nook, Versailles dining room, Louis XV living room, wood paneled billiard room, the Parson’s library, pull up entry, and sun room positioned directly across from the main stairwell. For easy traveling, the home features two elevators. One was for servants and the other was for the Parsons and guests. Pompei Breakfast room looking into the Versailles Dining Room and Grand Hall. Mrs. Parson’s private lounge outside her bathroom. The second Floor of Shadow Lawn is where Mr. and Mrs. Parson, Along with Bertha Gasque, Maysie’s sister, resided at nightfall. On the Eastern end of the floor there is a small door and narrow hall that lead to the entry room of the Parson’s living quarters. This area includes a common room, Mrs. Parson’s private bedroom, bath, two-floor closet, lounge, and Mr. Parson’s bedroom, wood paneled closet, bath, and lounge. Also featured on this level is the suite of Ms. Gasque located on the western end of the house overlooking the fountain gardens. A winding marble stairwell takes one from the second floor to the third floor guest suites and fourth floor solarium that was added on to the house at Mrs. Parson’s request. Though it threw off the symmetry of the French inspired home, it gave an Aztec vibe with tiled walls and a view over the Shadow Lawn trees towards the ocean. 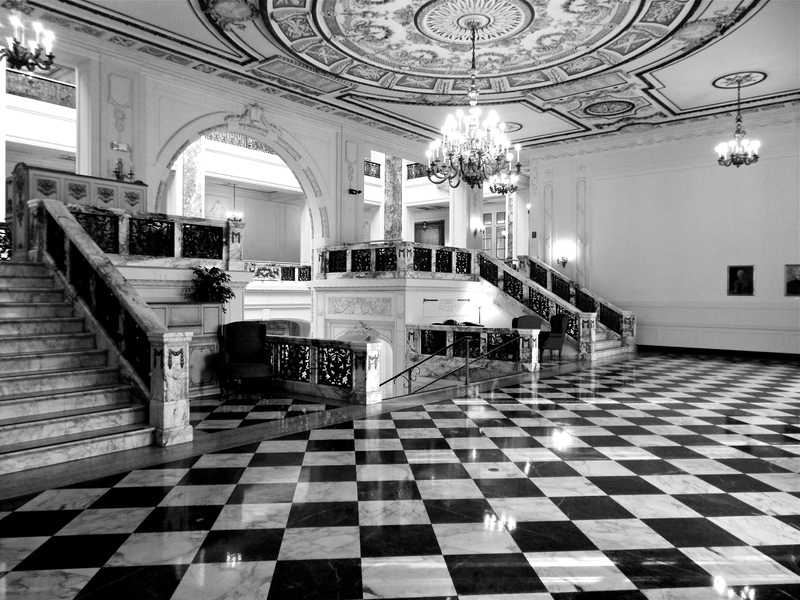 The massive marble staircase made famous in the 1982 movie Annie. On the lowest level of the home, there is a large waiting hall that opens in to the Parson’s large theatre with stage. Down the hall, the Parson’s had a two-lane bowling alley and a pool with marble walls and gold-mirrored ceiling. At the opposite end of the basement level there was once a full gymnasium with large shower room. 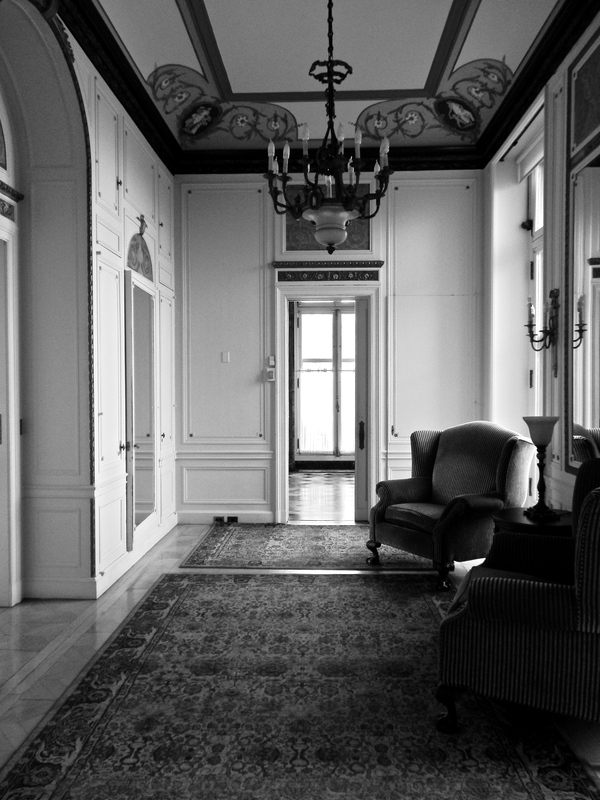 The most treasured room on this floor, and possibly the most mysterious due to its often-locked door, is the English Lounge. Mr. Parson had the 16th century Tudor-abbey taken apart piece by piece and carefully reconstructed in Shadow Lawn. Many believe the stained glass windows are tomb markers that carried ghosts in to the home on their cross-Atlantic journey from England to New Jersey. An amazing space between the first and second level. Now houses portraits of past Monmouth University presidents. When roaming the grand rooms and leaning on the marble railings of the picturesque balconies, it is easy to get lost in what appears to be rich history of a family’s fortune. Unfortunately, the home has more of a history as a girl’s school, college, and university than a private summer home. Only a few years after the homes completion, the Parson’s, whose fortune lay primarily in Woolworth stocks, lost the mansion to the depression after the stocks value dropped up to 80% over night. In 1938, Shadow Lawn was bought for $100 and became a private girls school. 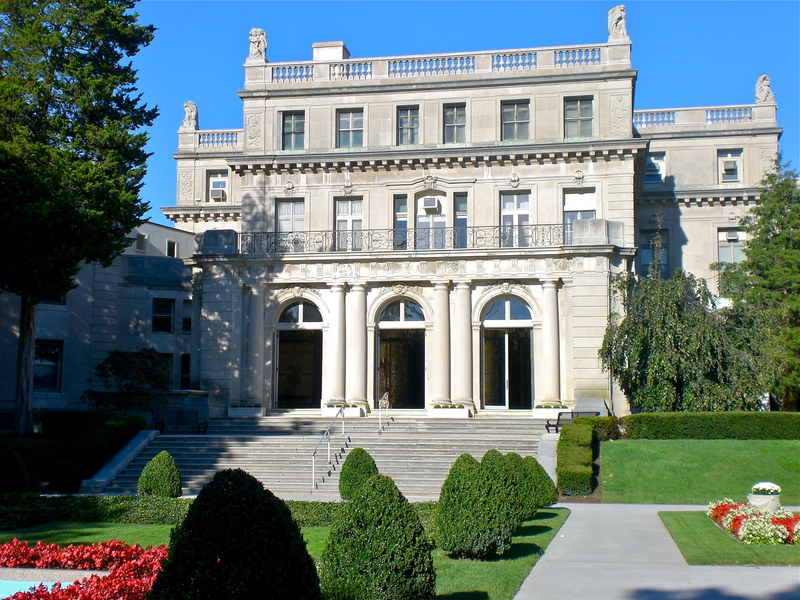 Eventually, the mansion was turned in to a private, co-ed college and then earned its current title as Monmouth University. As an alumnus of Monmouth, I personally experienced this house on a more intimate level. I spent my days in classes, which once were bedrooms. 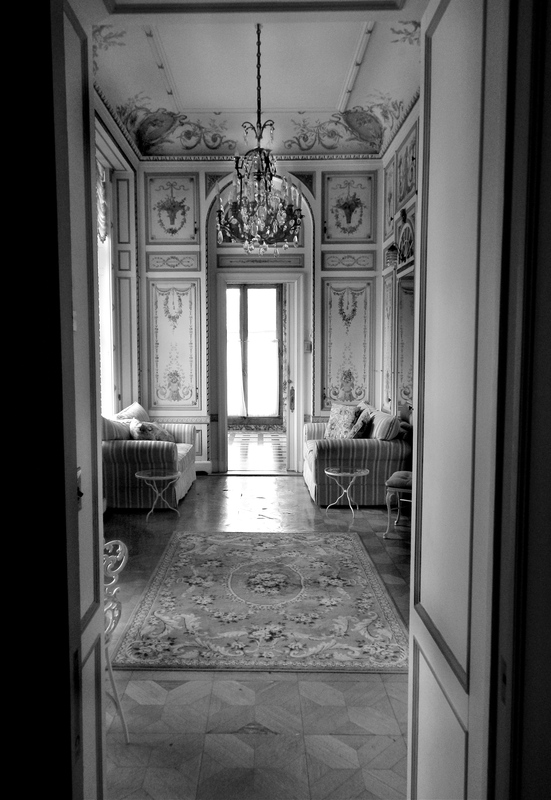 I witnessed speeches and debates in the lower level theatre, studied in the billiard room, wrote papers in the Louis XV living room, and stared out the Pompeii breakfast nook doors to the gardens that Mrs. Parson loved. Center arch on the outdoor stage for live music in the Fountain Garden. I sat in the high-backed chairs and relaxed in Mr. Parson’s lounge, looked at my reflection in their fireplace mirrors, and paced anxiously up and down the many hallways before giving a presentation. Though the rooms are mostly empty, except for desks, many of us can see the potted palms, tall candelabrums, and lavish furniture. We can feel the pride of her construction, yet imagine the anxiety of knowing she would soon be lost. It is sad that the Parson’s never got to carry out their dream of being American royalty, but the home’s downfall was also her rising. Instead of one family calling Shadow Lawn their home, thousands have. The family has been replaced with faculty, the guests swapped out for students, and the 70 plus servants are now the gifted crew and landscapers that keep her shining today. Fun Fact: President Woodrow Wilson rented the original Shadow Lawn Mansion and gave speeches from the front balconies leading up to his presidency in 1913. He was governor of New Jersey at the time of residency. Woodrow Wilson called Princeton, New Jersey home. Personal Experience: Most knowledge obtained first hand through four years of undergraduate status, tours, and post graduate research over four additional years. Reme, Jim, and Tova Navarra. Monmouth University. Charleston: Arcadia Pub, 2002. Print. The College History Ser. “Changes at the Top following the Death of Frank Woolworth.” The Death of Frank Woolworth in 1919 and the Reorganisation That Followed. N.p., n.d. Web. 18 Mar. 2014. This is quite amazing and beautifully written. Well done Mr. Matthew J. Niewenhous. I enjoy the beautiful pictures and find this site very much. Looking forward to your future posts. I enjoy the beautiful pictures and find this site very interesting.. Looking forward to your future posts. Interested at where and when Maysie lived and died after the sale of the mansion and the death of her husband. It is not very easy to track information on either of them after the house was lost, but I believe she passed in 1956 in New York City. If I am correct, both her and Hubert are in Greenwood Cemetery in Brooklyn, NY. Ahhh sorry I’ll be prepping to leave for a work trip! Hope the tours go well! sorry..second tour is at 11:30 am.